"Dad I want to be an actor." "Don't you ever say that again." "It's a verb, not a noun. Where are you going to study acting?" 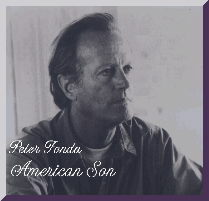 His daughter was not going to study acting at UCLA, Fonda decided, "That's Tanning 101. And USC is the Theory of Tanning 101. I'm going to send you to NYU. This is where you are going to learn. This is where you are going to have the most contact with off-off-off Broadway plays and see the newest stuff that's done. In drama, in acting, in everything. You're going to get into everyone's student film. You're going to learn to work with the camera. And I advise you to take a course of campus, in acting." And in a nice cyclic touch, she studied with Anna Strasberg. "Now I ring her up and ask her advice." "I told her she had to climb out of this four times, or once. First for her grandfather Henry, then for her Aunt Jane, then for me, then for herself. And if she paid attention to what I was saying, she would only have to climb it once, and that's for herself. And she did. And I'm very proud of that." Bridget, when told by an interviewer "It's in your genes" replied, "You can't say that -- I work at this." Says her proud father, "Makes me feel great, I didn't figure that out 'til I was 28. I kept trying to be Henry Fonda's son. That's how everybody identified me. Until Easy Rider came along, and then I was Captain America, which is really foolish because nobody is that cool." "How could I find out who I was if I was trying to be his son, and had no idea who he was. Now, of course, I know, I'm Bridget Fonda's father." 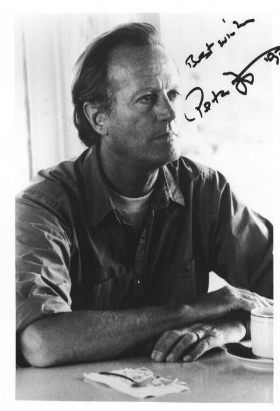 Once when Fonda was grousing about something, Eric Stolz (actor-boyfriend of Bridget) said, "Don't you get it, you're an international icon?" everywhere I go I'm Easy Rider." "I would love to be acting with (Bridget). Not only do I get on well with my daughter, we talk about working together all the time. We also talk about working with Jane." "Jane just looks and smiles, and shakes her head, and says, 'My brother, I've retired." you just walk away. I mean it's a beat-up business." he said I have to tell you in my 41 years of making motion pictures, I have never seen a crew so devoted to their director, nor a director so devoted to his crew. You're a very good director son, and I love you very much. That was cool, that was very cool." More of this and other stories, starting, he says from his birth, are in his upcoming autobiography, Don't Tell Daddy. If his verbal story-telling is any guide, expect an entertaining and insightful read. "It is necessary that the writer knows what the actor does with the words." "When you want to cut the camera, count to ten. Then if you still want to cut the camera, go ahead. Actors, it's not just the words you've written, we say, it's ways we move, it's our pace, it's our timing." he knew to let us go." "You can do something you love so much and get it, and you're right on spot with it, and it doesn't matter, if it's redundant or if something else is better take it out. Don't fall in love with anything you've shot or said or done or written or done. It can be very dangerous." the budget was 2.6 mil. And what he did was give the extra money to his crew as a bonus. And you know what they did with it? They bought tickets to California to see the opening at the Academy." Watching Ulee's Gold brought back memories of a childhood in country Australia. On Ulee's Gold, working with bees, "Yes they were real bees, there were no body doubles, and I only got stung once."